There are pros and cons to including an arbitration clause as part of your contractual agreements. Arbitration is a popular and can be effective forum for settling disputes between individuals, businesses, in real estate contracts and in employment settings under the right circumstances. There are two types or arbitration clauses: non-binding and binding. In non-binding arbitration, the arbitrator makes a decision to determine which party is liable and then suggests possible compensation for damages. Neither party is obligated to follow through with these guidelines. Binding arbitration is the opposite. The decision-maker hands down a ruling of liability and also assigns penalties. An arbitration clause can be binding in most contracts but California allows for the clause to be ignored if all parties agree to the change. Here are the advantages and disadvantages of having an arbitration clause. Arbitration is usually much cheaper than going to court and may be a viable option to save money. If the dispute continues to litigation, costly fees associated with depositions, uncovering evidence and pre-trial meetings follow. 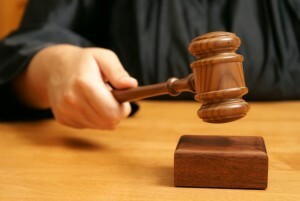 A case in litigation can take many months or years to conclude while having an arbitration clause may resolve the dispute much faster, usually averaging 475 days. Arbitration has more relaxed rules of pleading and evidence in comparison to litigation rules. While litigation usually leaves the final decision to a panel of jurors, arbitration has only one arbitrator (who can be hand-picked) who passes down a decision of liability. Without an impartial jury vote, your case may be treated unfairly or receive a fraction of the required attention. There is rarely a right to appeal if a mistake is made. Further, arbitrators can make decisions on what they perceive to be fair, rather than what the law directs. The process of discovery is becoming more prevalent in arbitration, which not only lengthens the time of arbitration, but also the cost. Unlike traditional court proceedings, wherein judges are compensated by the state, parties to an arbitration must pay the arbitrators out of their own pockets. Many arbitrators charge hundreds of dollars per hour. Arbitration may be taken less seriously than a lawsuit in court so some parties may treat it more like mediation. Necessary or frivolous disputes may not be weeded out through procedural processes normally applicable in court. Having an arbitration clause can save time and money, but it may also be biased or lack the necessary procedural filters of litigation. An experienced attorney can help you navigate the legal system and determine if this is the right choice for you.